FROM PAULA: I usually post castles, churches and ruins for this challenge, but this time I thought it would be cool to see Traces of the Past in nature. After all traces of the past are all around us. Here is an example of a remnant of one of many volcanic eruptions on Tenerife Island. Ah, the past. And, in black and white. It’s funny. When we were in Arizona, there were quite a few old lava fields, but I didn’t shoot them much. They weren’t visually interesting and also, the ground felt really strange under my feet. Now I wish I’d shot just a bit more! These are a few more of my airplane shots from our trip to the Tuskegee Airmen award meeting last fall. The plane that’s flying is pre-World War II and I wish I had been the person in that cockpit! All three pictures are of the same airplane. 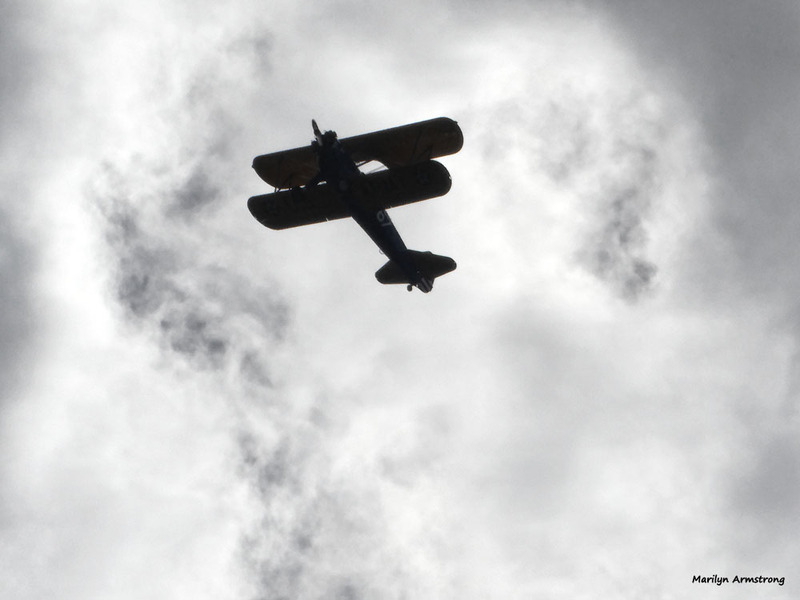 The pilot, who flew during World War II, was gone up into the clouds for more than an hour. Quite a flight! 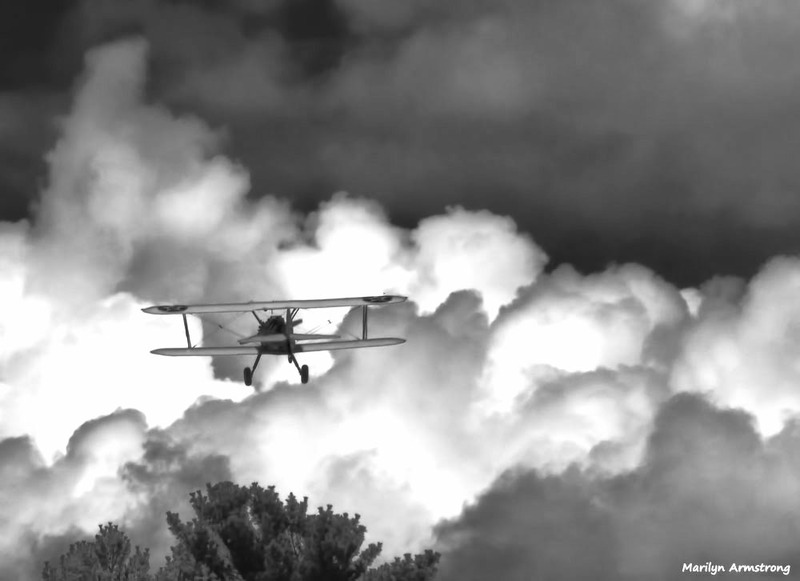 These are stunning shots against the stormy clouds. The clouds were piling up as we watched. I don’t think it rained, though, at least not where we were. I think they moved eastward and did something closer to Boston. Don’t say “Stormy”, Tish. Not safe these days. It says US Army on the plane, is it privately owned now ? Now it is owned by the Tuskegee Airmen museum but it was U.S. Army. That’s where it belongs in a museum, nice if they can still fly it. They have a shop and they maintain a few of them for flying. Not all of them can fly, but a few can and do. They have or I should say they used to have a Spitfire on display in Ottawa. 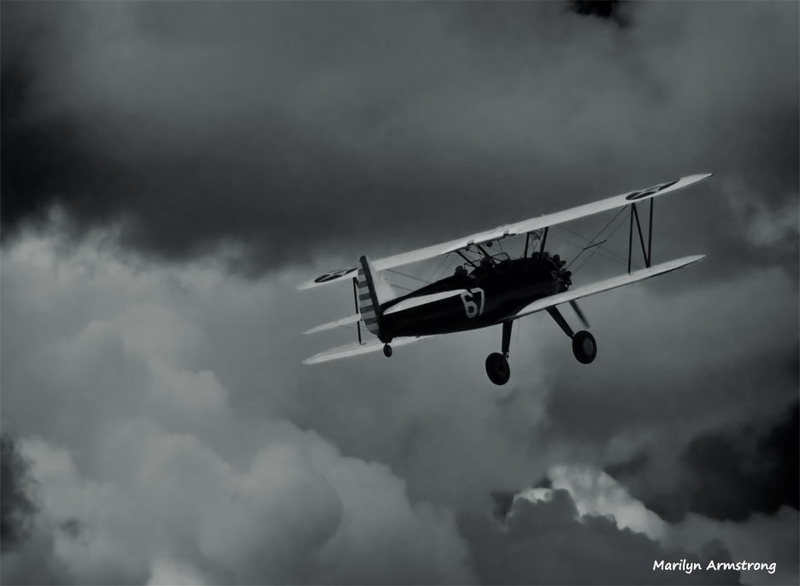 My uncles used to fly a Spitfire in WW11. 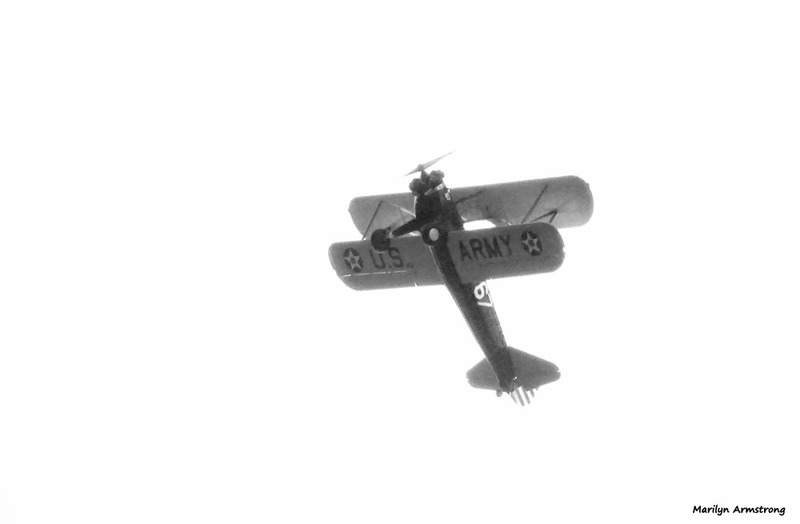 “Hell’s Angels” (‘31/RKO). Richard Barthelemess, Jean Harlow, Gary Cooper. DIR; Howard hUGHES. Howard Hughes – he used to be a aviation guy. He used to live at the Xanadu in Freeport Bahamas. Leslie, Hughes was something of a renaissance man. Weird but very interesting fella. I know he was considered weird. I did see the movie about him. I liked how he stood up to the government. A genuine maverick and genius. Apparently, his one flaw, couldn’t direct good movies although he produced some controversial ones. Exhibit A: Jane Russell and the “wonder bra” in “The Outlaw”. I think he married her too briefly?